Check out who won the post-fight awards and bonuses for The Ultimate Fighter 23 Finale. The most dangerous woman in combat sports showed what it takes to be a champion with a comeback win over Claudia Gadelha. 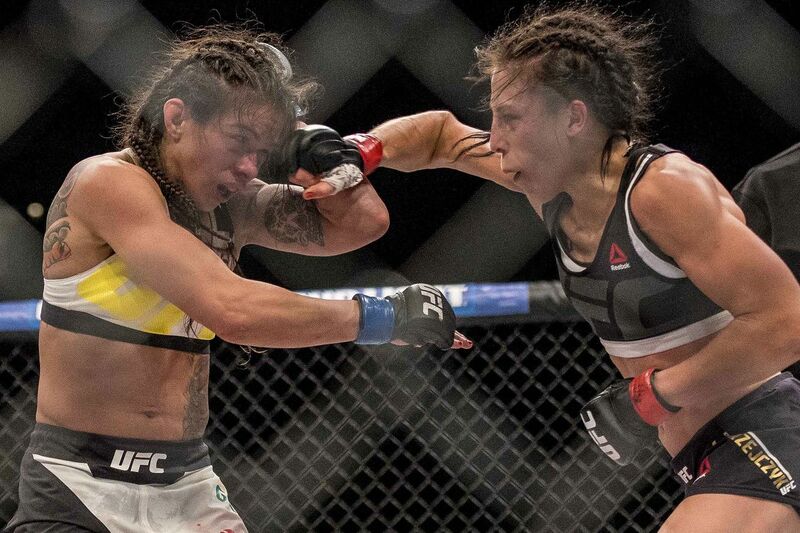 On the other hand, Gadelha proved that she is the clear #1 contender in the strawweight division and will always put on a war. Gadelha controlled Jedrzejcyk for the majority of the first two rounds with her takedowns and clinch work. Jedrzejcyk turned the tide in the third round and ended up out-landing Gadelha 146-40 in the final three rounds. At the end of the day, Jedrzejcyk remains the UFC Strawweight Champion and Gadelha walks away with an extra $50,000. Doo Ho Choi continued his streak of first round knockouts by putting Thiago Tavaresaway in less than three minutes. The Korean Superboy backed up Thiago Tavares and finished him against the cage with a beautiful 1-2 combination. This continued success for the 25 year old could lift him into top 15 competition in the UFC’s Featherweight division. On a night where the Strawweight division put on an epic title fight, Tatiana Suarez put her name in the record books as the Ultimate Fighter 23 winner. Suarez was able to lock up D’Arce choke late in the first round after controlling most of the fight with her wrestling. While only 4-0 in pro competition, the 25 year old has a lot of time to develop and showed both in the cage and afterwards in her post fight speech that she’s here to stay and entertain.